The rumors about the Xiaomi Mi 7 are more uncertain than ever. 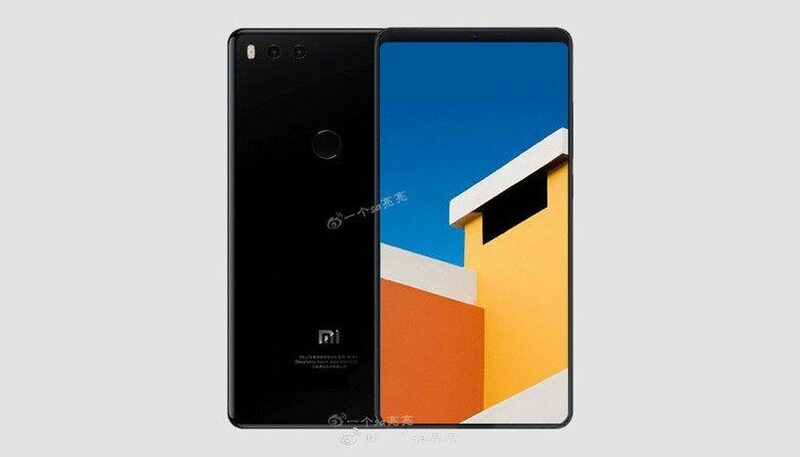 Presumably, Xiaomi will not present this smartphone at the Mobile World Congress to make the way for the Xiaomi Mi Mix 2, the first smartphone of Xiaomi that would debut with the Qualcomm Snapdragon 845 chipset. Today, we have and idea about the possible specifications of the upcoming Xiaomi flagship Xiaomi Mi 7 as a weibo user has outed them in a screenshot, and pay close attention, since they are the most spectacular we have seen in a long time. According to the rumors, the Xiaomi Mi7 might debut with a Full HD+ 5.6-inch screen with 18: 9 full-view display and will be powered by the latest Qualcomm chipset Qualcomm Snapdragon 845 processor along with a massive 8Gigs of RAM. The device rumors further confirms 128 GB of inbuilt storage capacity for the device. The Xiaomi Mi 7 will feature a dual rear camera and will have a massive 4,480mAh battery. The Qualcomm Snapdragon 845 is the best processor we'll see in 2018, until the arrival of Apple's A12 chipset that debuted with iPhone X and iPhone 8 series. The 8 GB of RAM and 128 GB would correspond to the top version of this device, so there would be another version of 64 + 128 GB. What draws attention is the 4,480mAh with which the battery would count . Historically, the Mi have never had a great amperage, and this has usually reserved for the Redmi series and Mi Mix series. In this case, the Mi 7 would have a gigantic battery, to feed the disproportionate power of the SD845 processor and extend its autonomy until 2 or 3 days of use. 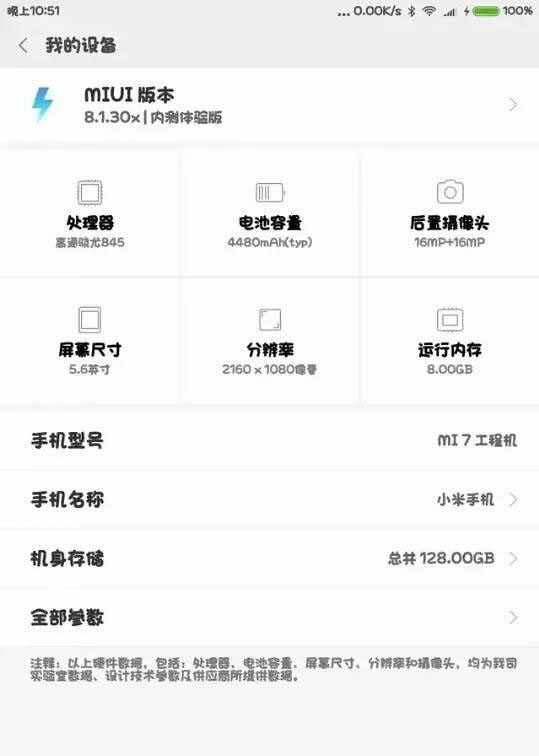 Although nothing is confirmed yes, we hope that these are the final specifications of the Xiaomi Mi 7, since it is all we ask of a smartphone power, camera and for a good decent battery. We remain then, waiting for news about this Xiaomi Mi 7, as it may be one of the revelations of the year 2018, in the absence of as always, the Samsung Galaxy S9, the new Huawei P20, LG V30s and other alternatives. To recall, the Mi 6 was launched with a 5.15-inch IPS LCD Full HD (1080 x 1920 pixels) display with a pixel density of 428ppi, Gorilla Glass 4. It comes powered by a 10nm Qualcomm Snapdragon 835 octa-core chipset with custom Kyro cores paired with Adreno 540 GPU. It comes with 6GB of LPDDR4 RAM and 64/ 128GB internal storage options. It runs on Android 7.0 Nougat out-of-the-box with Xiaomi's MIUI on the top with Dual SIMs support. other specs includes a dual-camera with a 12MP sensor with standard wide-angle lens and a 12MP sensor with a telephoto lens, an 8MP selfie camera, a non-removable 3350mAh battery with support for Quick Charge 4.0, Connectivity options include Wi-Fi, Bluetooth 5.0, 2G, 3G, 4G LTE, GPS, NFC, USB Type-C, etc, a under-glass fingerprint sensor in the home button.